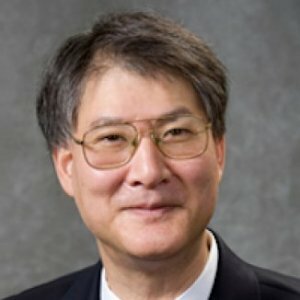 Professor William Wang has taught courses in Corporations and Corporate Finance. From January 2005 through January 2009, Professor Wang served as a member of the FINRA (formerly NASD) National Adjudicatory Council. In addition, from 1996 to 2011 he chaired the Investment Policy Oversight Group of the Law School Admissions Council and served ex officio on the LSAC board. Since 2012, he has been on the board of directors of Access Group Inc. and on its investment committee. Professor Wang was born in New York City and grew up near Washington, D.C. He is a Phi Beta Kappa graduate of Amherst College, and he is an honorary Woodrow Wilson Fellow. He received his law degree from Yale Law School. After graduating from Yale, Professor Wang took the California Bar Examination and then moved to New York to work for a firm engaging in risk arbitrage. He left Wall Street to teach at the University of San Diego Law School. He later served briefly as a full-time consultant to the White House Domestic Policy Staff. He joined the UC Hastings faculty in 1981. In addition to UC Hastings and the University of San Diego, he has taught at the law schools of NYU, New York Law School, Leiden University (Netherlands), Brooklyn Law School, Villanova University, UCLA, and U.C. Davis. Professor Wang is the coauthor of a treatise, Insider Trading, now in its third edition. He has also written numerous articles in law journals, magazines, and newspapers on subjects ranging from The Unbundling of Higher Education to novel investment strategies with Toilet Paper - It’s Good As Gold or How to ‘Clean Up’ in Toilet Paper. As a hobby, Professor Wang likes to give travel, consumer, and investment tips. He has also published an article on budget travel to Las Vegas. What I hope you get from a legal education at UC Hastings is... the ability to think analytically, write cogently, identify legal issues, research legal questions, and see both sides of controversies.